It is officially December 1st! The count down for Christmas is on! 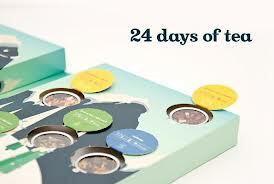 I am super excited this year as I have a David's Tea Advent Calendar. Basically a new tea to try everyday! And I can officially put up my Christmas decorations and start listening to Christmas music with out getting sick of it the week before Christmas. When I used to work retail by December 15th I was ready for the Christmas music to stop thankfully I will not be experiencing that this year!